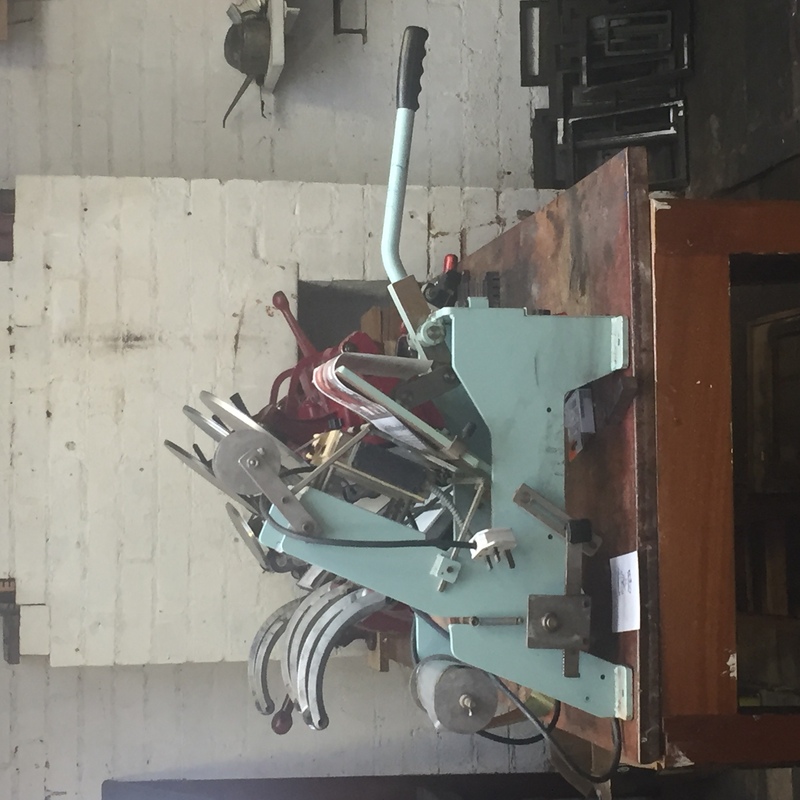 I’ve always wanted to have a go at Letterpress printing so when I heard that there was a workshop at Winterbourne House & Garden as part of University of Birmingham’s Arts & Science Festival I duly signed up. The workshop entitled Imprinting Memories was facilitated by Becky Howson a Doctoral Researcher at the School of Visual Communications at Birmingham City University and Printer in Residence at Winterbourne Letterpress at Winterbourne House and Garden, University of Birmingham. Myself and my fellow participants met at the Print Workshop which is housed in what used to be the garage for Winterbourne House. 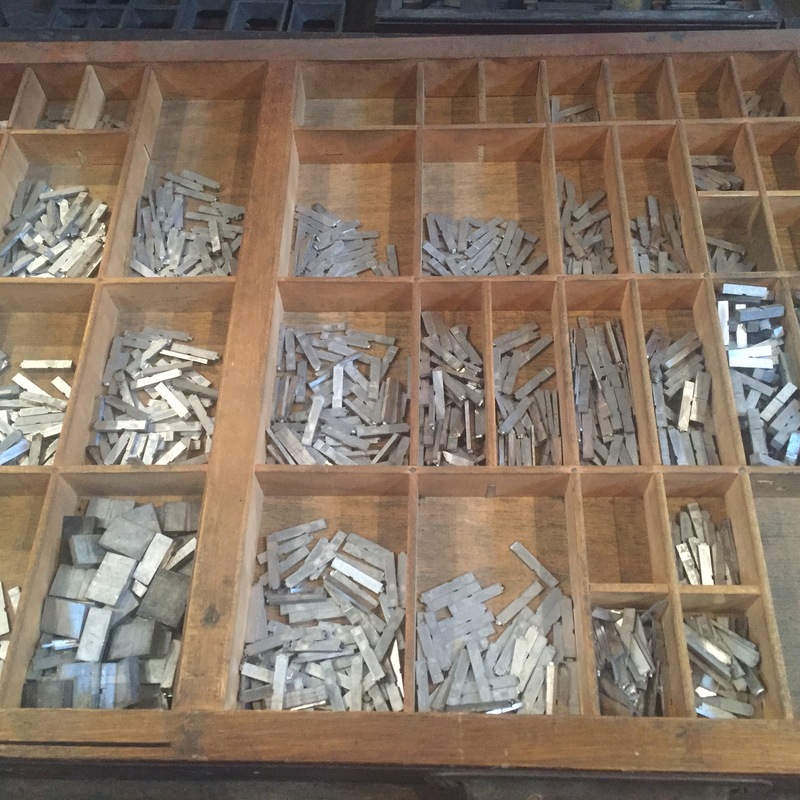 The aim of the session was to introduce us to the historic collections of printing presses and type held at Winterbourne and see some of the basic processes involved in letterpress printing. We started off by heading to the compositing room which was formerly a pig shed. 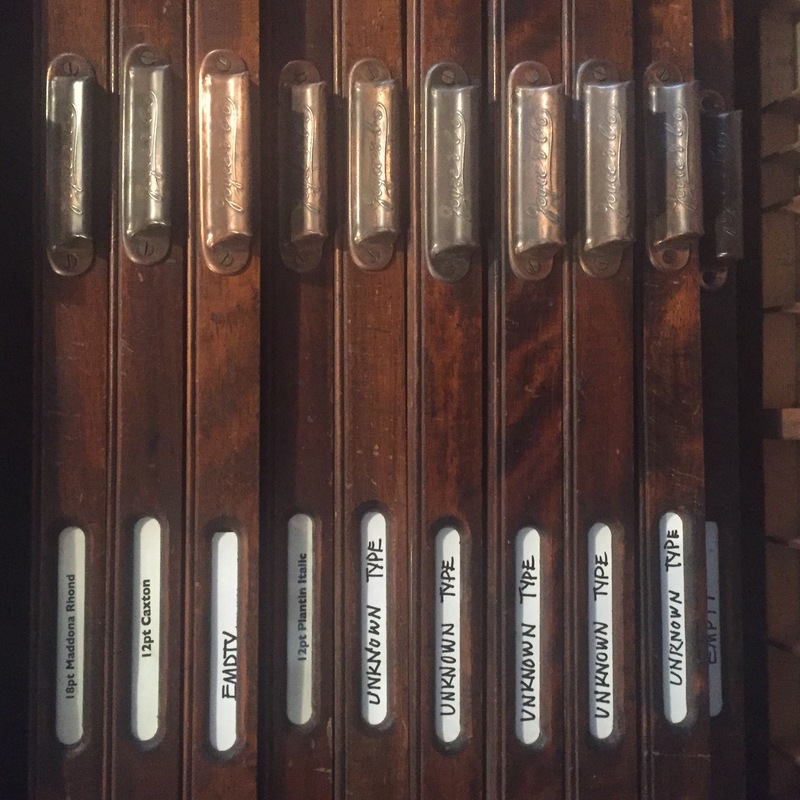 This is where all the type was stored in drawers which were labelled with the name of the type and its size. Myself and the other participants were shown how to hold and add type to a compositing stick so that it spelt out a word or name that using the metal type we had selected, additionally we had to add a strip of lead to our stick. I used Baskerville which was quite apt for the location as Wikipedia states it is widely used in documents issued by the University of Birmingham, I chose it as it thought it looked nice! Becky also gave us some interesting facts such as the word diss in the printing sense referred to the disassembling of the compositing stick and putting the type back in its correct place. After we finished putting all our type away we returned to the main print workshop for the printing part of the session. 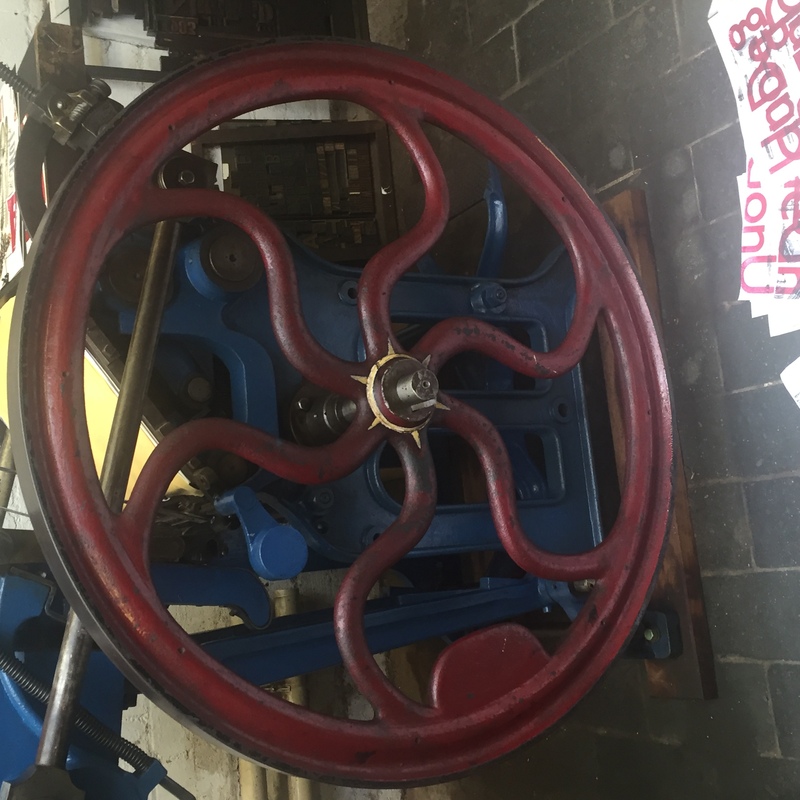 Becky gave us an overview of the various presses and what they would typically be used for before giving us a demonstration on the large blue press with the red wheel (sorry I’ve forgotten what it was called!) before we took it in turns to have a go. 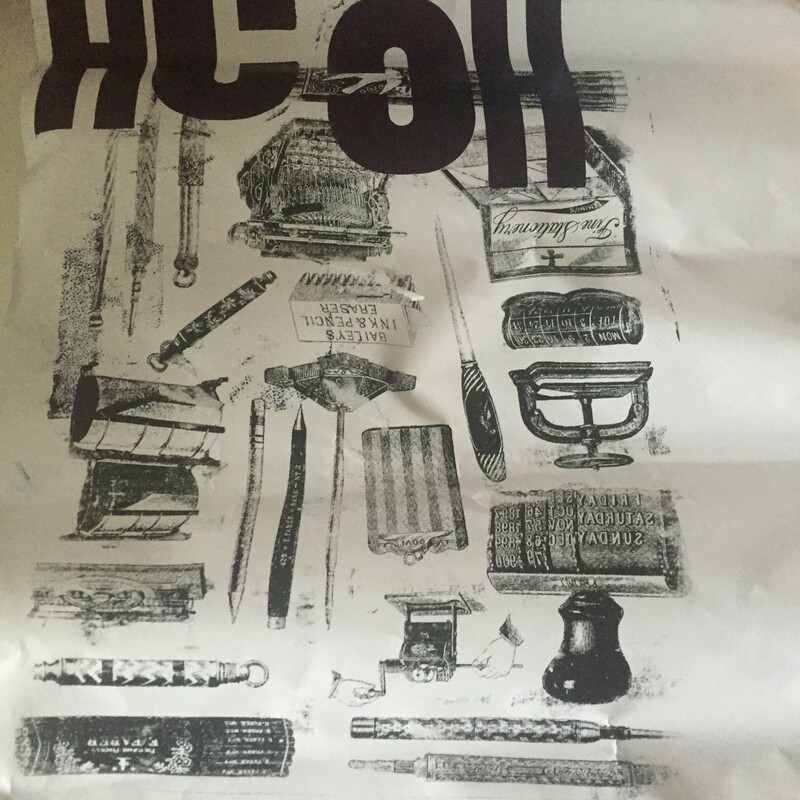 Becky had pre printed some images that related to the theme of Imprinting Memory such a typewriters for us to print onto. Although we looked at metal type in the compositing room we used large wooden blocks in this instance. We selected our letters, I chose my initials. 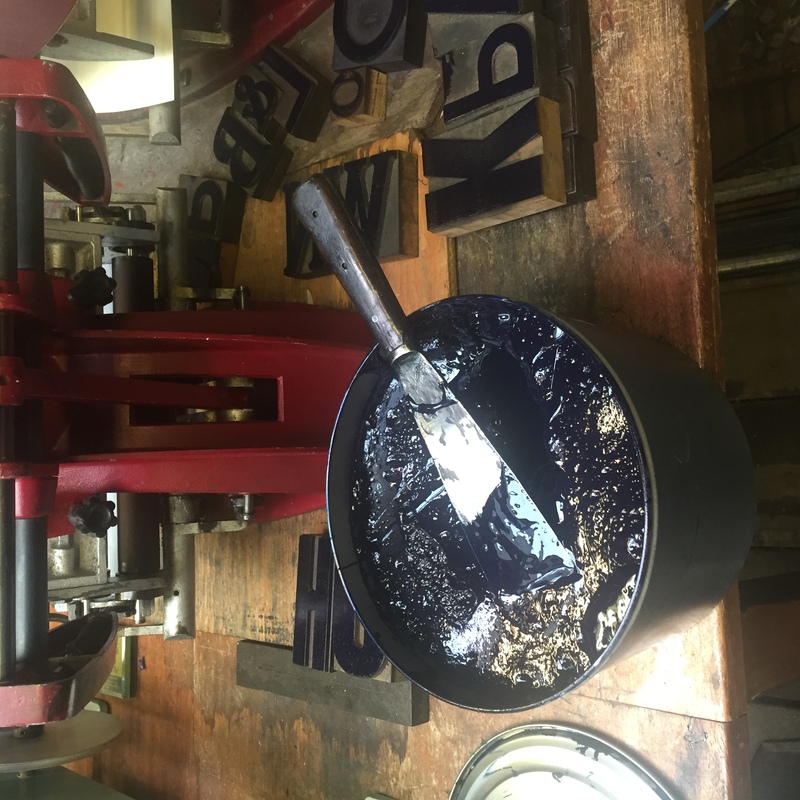 We used a roller to add the indigo ink onto the press, placed our paper and put our blocks on top of the paper before moving the press one way before returning it to its original position. I can imagine working on the press all day would give you a great upper body workout! I thought the workshop was very informative and I enjoyed the practical elements as I think it was more of a taster session I would definitely return and participate in a longer course/workshop. 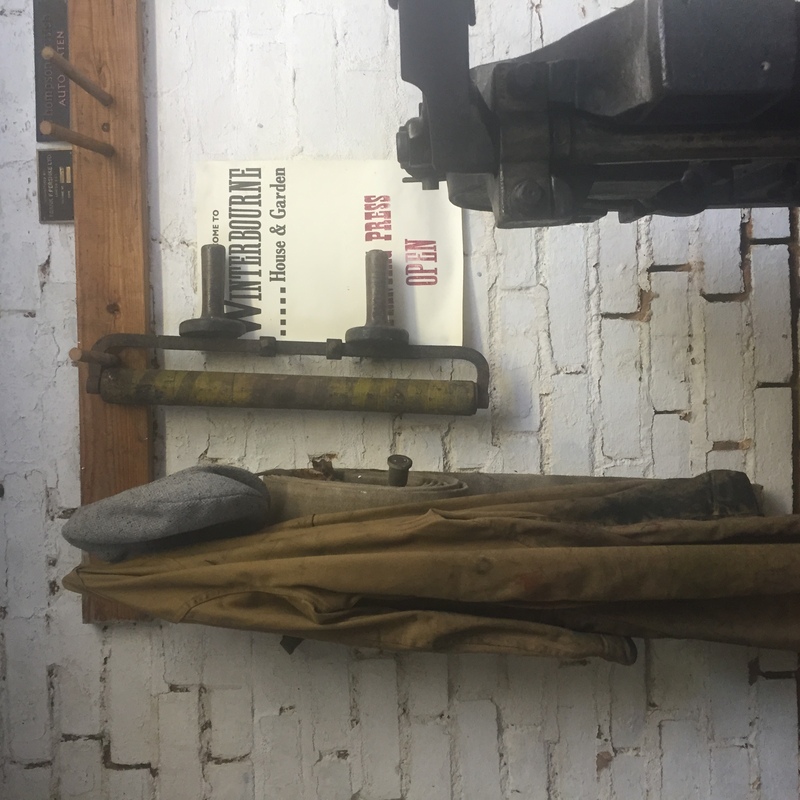 Winterbourne House & Garden are hosting Printing Press Workshops on Saturday 23rd April, Saturday 21st May and Friday 29th July 11am -3pm at the price of £35 per person which includes all equipment. To book your place, please visit the shop at Winterbourne or call 0121 414 3003. See here for further information. Fab! Always wanted to do that too. Hi Katie! 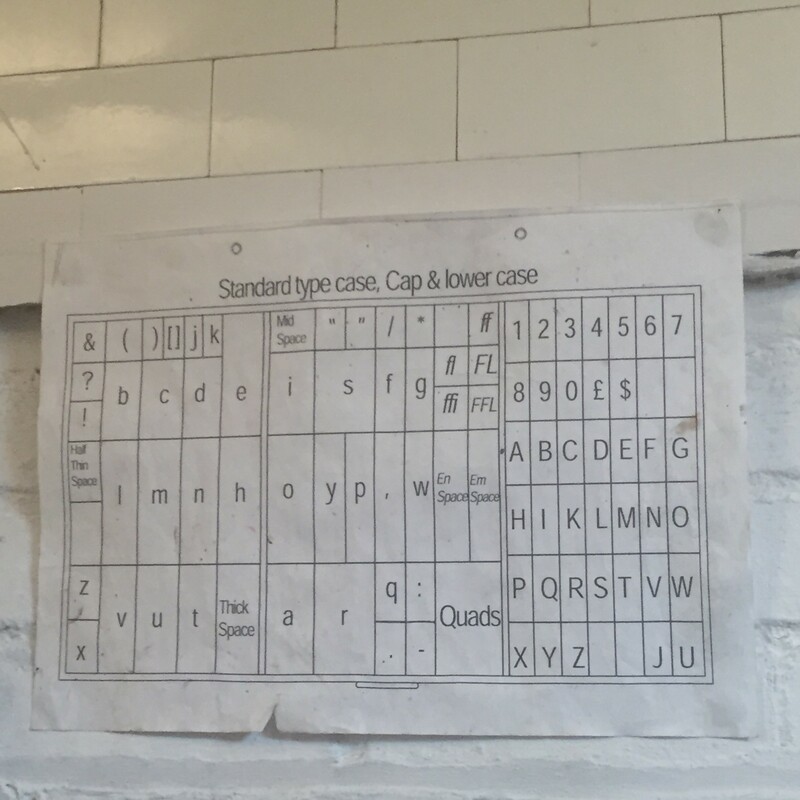 It was fascinating to hear the historical aspects as well as having a go at printing. I’ll probably sign up to one of the classes I listed at the bottom of the post, perhaps I’ll see you there?